Azerbaijani postal operator Azerpost LLC will soon start issuing cards of Visa International payment system, Azerbaijani Ministry of Transport, Communications and High Technologies told Trend on September 15. The state agency noted that the parties signed a NDA (Non-disclosure agreement) and the price offer was received. Currently, work is underway to select the appropriate bank, the ministry said. The postal operator of Azerbaijan started providing financial services in 2012 in accordance with the license of the Central Bank of Azerbaijan. Today, more than 1,200 post offices provide all types of banking services except for issuing loans and attracting deposits. 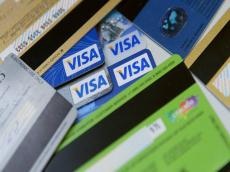 The total number of active payment cards of Azerpost increased by 62.5 percent in January-July 2018 and exceeded 114,900. The number of cards has increased by more than 43,700 over this period. Changes made in 2016 to the law “On electronic commerce” contributed to a significant increase in the number of payment cards. As a result, non-bank credit institutions and pawnshops committed themselves to working directly with banks. Since Azerpoct is not engaged in issuing loans, it cannot compete with non-bank credit institutions and pawnshops. Therefore, they took Azerpost as a partner and this contributed to the growth of its cards issue. Azerpost was established in 1999 and received the status of national postal operator in 2004. The company mostly implements such important functions like offering quality and affordable postal and financial services, delivery of mail and goods and their transit to other countries, and other services with the aim of supporting daily activities of the population.